At Meier Orthopedic Sports and Regenerative Medicine in Los Angeles, we advocate a multimodal approach to the treatment of musculoskeletal conditions. This means combining more than just one type of treatment to provide an enhanced result. Combining surgical procedures with regenerative medicine is an ideal way of optimizing treatment results. We prefer to not restrict our Los Angeles patients’ potential by depriving them from any treatment approaches that may be beneficial for their condition. No one type of treatment is good at everything. Each treatment modality has its own inherent strengths and limitations. For instance, a surgical reconstruction may successfully stabilize a joint and prevent further damage but it may not eliminate all symptoms of pain and inflammation. Regenerative injection therapy (RIT) on the other hand, may provide additional pain relieving properties that the surgery does not by reducing chronic inflammation. In this way, the limitations of one modality are compensated for by the strengths of a complementary treatment whose weaknesses are, in turn, canceled out by the first. Using different modalities like this that work together to achieve a greater result than using just one of them alone is called synergy. Synergy in treatment is the best way to achieve the greatest results possible. Learn more about what Dr. Steven Meier can do for your orthopedic recovery through regenerative medicine. Call 310.736.2793 or fill out the online contact form to learn more about what Meier Orthopedic Sports and Regenerative Medicine can do for you! “Homeostasis” is: the tendency toward a relatively stable equilibrium between interdependent elements, especially as maintained by physiological processes. No matter how refined a surgeon’s technique is, surgery is still essentially a traumatic insult to the anatomic site, stirring up inflammation and upsetting the natural balance of the joint. RIT helps normalize and restore homeostasis to joint quickly after surgery. The human body has a tremendous capacity for healing itself. However, healing takes time. In everyday life, there are a number of common conditions and stresses that can further prolong the duration of healing including internal biologic and environmental sources. Stem cell and PRP therapy have been shown to accelerate tissue healing which can help speed up and shorten the recovery time after surgery.1 This means less pain, less inconvenience and earlier return to normal activities of daily living with less risk of complications such as infection, stiffness, blood clots, etc. One of many examples of this is in reconstructive ligament surgery. Anterior cruciate ligament (ACL) surgery of the knee is commonly performed and is associated with a lengthy recovery and rehabilitation period. Regenerative injection therapy has been shown to significantly speed up this recovery process. In a clinical study by Radice et al., use of PRP with ACL reconstruction surgery reduced the time for graft maturation by half (179 days vs. 369 days). In other words, that is approximately 6 months vs. 12 months for “ligamentization”. 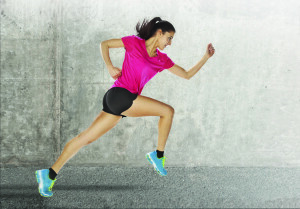 2 Speeding up the healing process can mean less postoperative pain and sooner return to sports and an active lifestyle. Certain types of injuries and conditions are known to be very resistant to healing. Rotator cuff tears are notorious for this. Rotator cuff repair surgery is associated with a high rate of healing failure. Clinical studies reveal the rate of recurrent or residual tears after rotator cuff repair surgery to range from 20-82% of cases. 2-9 Even after a perfectly performed surgery, the tendon often does not heal completely because rotator cuff tendon tissue has very poor blood supply. By “priming” the system and augmenting the biologic healing response, the rate of successful tendon healing can be significantly improved. In a study by Hernigou et al., the effect of mesenchymal stem cells (MSCs) on rotator cuff repair surgery was investigated.10 One group of patients undergoing rotator cuff repair surgery was treated with MSCs from bone marrow aspirate (BMA) at the time of surgery while the other group received no stem cells. By 6 months, there was 100% healing in the MSC treated group vs. only 67% healing in the non-MSC treated group. By 10 years after surgery, 87% of the repairs in the MSC treated group still remained intact vs. only 44% in the non-MSC treated group. Certain bony fractures are known to take a long time to heal or may be prone to not heal and become non-unions. This may be due to the severity of the injury and/or anatomic location. Bones that can be prone to nonunion include the clavicle, scaphoid, femur, tibia and 5th metatarsal to name a few. Tseng et al. demonstrated how the use of stem cells can promote and accelerate bony healing. 11 Patients who wish to accelerate the healing process or those with fractures as risk for delayed healing or non-healing may consider utilizing stem cell therapy. A ligament reconstruction can be performed using either the patient’s own tissue (autograft tissue) or tissue from an organ donor (allograft tissue). Using autograft is traditionally considered the “gold standard” since better healing is expected with native tissue. However, there are downsides to harvesting one’s own otherwise normal and functional tissue such as muscle weakness, residual pain and additional risk of surgical complications such as infection and stiffness. Using MSCs along with allograft tissue, though, can provide increased stimulation to healing making results with allograft comparable to that of autograft. In some cases, the MSC-allograft combination can perform even better and with greater consistency than autograft alone. 16, 17 And with allograft, of course, the patient can avoid negative aspects of autograft harvest. When a patient sustains an acute ligament injury in Los Angeles, many structures are injured. Ligament reconstruction surgery usually focuses on rebuilding only the main ligament involved. This can mean that other joint stabilizing structures still remain lax. When these secondary structures are lax, this places a great deal of stress on the newly reconstructed ligament. This concentration of stress on one structure can lead to stretching out of the reconstructed ligament. For instance, when an ACL ruptures during a knee injury, damage also occurs to the joint capsule or “envelope” and other secondary restraints such as the anterolateral ligament (ALL). 18 ACL reconstruction surgery restores only the ACL but none of the secondary stabilizers. Without the help of the secondary stabilizers, this could lead to stretching out of the ACL graft. However, after ACL reconstruction surgery, these important accessory stabilizing structures can be “tightened up” with prolotherapy treatments postoperatively in order to allow a more balanced and complete stabilization of the knee with additional support for the newly reconstructed ACL. Many patients who undergo surgery for soft tissue injuries also happen to have degenerative joint disease (DJD) or osteoarthritis associated with the aging process and natural wear-and-tear. This applies to many people since DJD is so common. While the surgery normally fixes the torn ligament or tendon successfully, these patients may nevertheless go on to experience residual painful inflammation postoperatively due to the roughened cartilage of DJD. An ideal solution is to combine the surgery with a regenerative injection therapy like stem cell or PRP. Cole et al. found that patients with osteoarthritis had significant pain relief at 6 months and 12 months after PRP injection therapy when compared to control groups.19 This pain relief was even found to be superior to patients who received hyaluronic acid injections (i.e. Synvisc, Orthovisc, Hyalgan). Joint stiffness due to excessive scar tissue formation after injury or surgery can be a problem for some patients. This can result in a prolonged rehabilitation period and possibly never regaining full mobility in the involved joint. Stem cell therapy can reduce stiffness after surgery by promoting the regeneration of normal, supple tissue in favor of less desirable, tough scar tissue. This effect can also promote more cosmetic surgical incisions. One of the great features of stem cell therapy is its excellent safety profile. It is one of few medical treatments that is associated with virtually no significant side effects. In addition to being a very safe treatment on its own, it can also reduce the risk of complications from other concurrent treatment such as surgery by enhancing healing and warding off infection. The use of stem cell therapy and PRP can protect patients from developing a postoperative infection. Infection is a known potential complication of surgery and can result in prolonged recovery, revision surgery, the need for long-term antibiotic treatment, additional scarring and a compromised functional result. Through the activity of concentrated platelets and leukocytes, the propagation of potentially infectious organisms is restricted by stem cell preparations and PRP. Stem cell solutions and PRP have natural antimicrobial properties against many types of common bacteria. Mei et al. found that in a stem cell experimental group, there was an up-regulation of genes involved in promoting phagocytosis (the ingestion of bacteria by cells of the immune system) and bacterial killing.25 Li et al. demonstrated that in vitro, PRP suppressed the growth of bacterial colonies.26 They pointed out that unlike conventional antibiotics, PRP may be superior since it does not induce microbial resistance. Moojen et al. found that PRP, in the form of a platelet-leukocyte gel, while safe for the patient also has strong bacteriocidal (bacteria-killing) activity making it a potentially useful substance to fight against postoperative infections.27 It is clear that using stem cells and PRP concurrently with surgery in Los Angeles has the potential to prevent infection and to reduce the need for costly post-operative treatment, particularly with implant-associated infections. Learn more about regenerative medicine at stemcells.nih.gov. Have you or a loved one suffered an injury and are looking to learn more about what regenerative injection therapy can do for you? Call Dr. Meier in Los Angeles at 310.736.2793 or contact MOSM online today to schedule an appointment for the care you need. Branski LK, Gauglitz GG, Herndon DN, Jeschke MG. A review of gene and stem cell therapy in cutaneous wound healing. Burns. 2009 Mar;35(2):171-80. Radice F, Yánez R, Gutiérrez V, Rosales J, Pinedo M, Coda S. Comparison of magnetic resonance imaging findings in anterior cruciate ligament grafts with and without autologous platelet-derived growth factors. Arthroscopy, 2010 Jan; 26(1):50-7. Boileau P, Brassart N, Watkinson DJ, Carles M, Hatzidakis AM, Krishnan SG. Arthroscopic repair of full-thickness tears of the supraspinatus: does the tendon really heal? J Bone Joint Surg Am. 2005; 87(6):1229-1240. Fealy S, Adler RS, Drakos MC, et al. Patterns of vascular and anatomical response after rotator cuff repair. J Bone Joint Surg Am. 2006; 34(1): 120-127. Galatz LM, Ball CM, Teefey SA, Middleton WD, Yamaquchi K. The outcome and repair integrity of completely arthroscopically repaired large and massive rotator cuff tears. J Bone Joint Surg Am. 2004; 86(2):219-224. Gerber C, Fuchs B, Hodler J. The results of repair of massive tears of the rotator cuff. J Bone Joint Surg Am. 2000; 86(4)505-515. Harryman DT II, Mack LA, Wang KY, Jackins SE, Richardson ML, Matsen FAIII. Repairs of the rotator cuff. Correlation of functional results with integrity of the cuff. J Bone Joint Surg Am. 1991; 73(7):982-989. Liu SH, Baker CL. Arthroscopically assisted rotator cuff repair: correlation of functional results with integrity of the cuff. Arthroscopy. 1994; 10(1):54-60. Mansat P, Cofield RH, Kersten TE, Rowland CM. Complications of rotator cuff repair. Orthop Clin North Am 1997;28:205-13. Hernigou P, Flouzat Lachaniette CH, Delambre J, Zilber S, Duffiet P, Chevallier N, Rouard H. Biologic augmentation of rotator cuff repair with mesenchymal stem cells during arthroscopy improves healing and prevents further tears: a case-controlled study. Int Orthop, 2014 Sep;38(9):1811-8. Vangsness CT Jr, Farr J, Boyd J, Dellaero DT, Mills CR, LeRoux-Williams M. Adult Human Mesenchymal Stem Cells Delivered via Intra-Articular Injection to the Knee Following Partial Medial Meniscectomy. J Bone Joint Surg Am, 2014;96:90-8. Lee KB, Hui JH, Song IC, Ardany L, Lee EH: Injectable mesenchymal stem cell therapy for large cartilage defects: A porcine model. Stem Cells 2007;25(11): 2964-2971. Zellner J, Mueller M, Berner A, et al: Role of mesenchymal stem cells in tissue engineering of meniscus. J Biomed Mater Res A 2010;94(4):1150-1161. Horie M, Sekiya I, Muneta T, et al: Intra-articular injected synovial stem cells differentiate into meniscal cells directly and promote meniscal regeneration without mobilization to distant organs in rat massive meniscal defect. Stem Cells 2009;27(4):878-887. Grabowski G, Robertson RN. Bone allograft with mesenchymal stem cells: A critical review of the literature. Hard Tissue 2013 Mar 22;2(2):20. Homma Y, Kaneko K, Hernigou P. Supercharging allografts with mesenchymal stem cells in the operating room during hip revision. Int Orthop. 2014 Oct;38(10):2033-44. doi: 10.1007/s00264-013-2221-x. Epub 2013 Dec 10. 18. Claes S, Vereecke E, Maes M, Victor J, Verdonk P, Bellemans J. Anatomy of the anterolateral ligament of the knee. J Anat, 2013 Oct;223(4):321-8. Cole B et al. Paper #SS-57. PRP may be superior to hyaluronic acid for improvement of pain, function in patients with osteoarthritis. Presented at: Arthroscopy Association of North America Annual Meeting. April 23-25, 2015; Los Angeles. Van Buul GM, Koevoet WLM, Kops N, et al. Platelet-rich plasma releasate inhibits inflammatory processes in osteoarthritic chondrocytes. Am J Sports Med. 2011;39:2362–2370. Drengk A, Zapf A, Sturmer EK, et al. Influence of platelet-rich plasma on chondrogenic differentiation and proliferation of chondrocytes and mesenchymal stem cells. Cells Tissues Organs. 2009;189:317–326. Anz A, Hackel J, Nilssen E, Andrews J. Application of Biologics in the Treatment of the Rotator Cuff, Meniscus, Cartilage, and Osteoarthritis. J Am Acad Orthop Surg 2014;22: 68-79. Mei SH, Haitsma JJ, Dos Santos CC, Deng Y, Lai PF, Slutsky AS, Liles WC, Stewart DJ. Mesenchymal stem cells reduce inflammation while enhancing bacterial clearance and improving survival in sepsis. Am J Respir Crit Care Med, 2010 Oct 15;182(8):1047-57. Li H, Li B.PRP as a new approach to prevent infection: preparation and in vitro antimicrobial properties of PRP. J Vis Exp, 2013 Apr 9;(74). Moojen DJ, Everts PA, Schure RM, Overdevest EP, van Zundert A, Knape JT, Castelein RM, Creemers LB, Dhert WJ. Antimicrobial activity of platelet-leukocyte gel against Staphylococcus aureus. J Orthop Res, 2008 Mar;26(3):404-10.